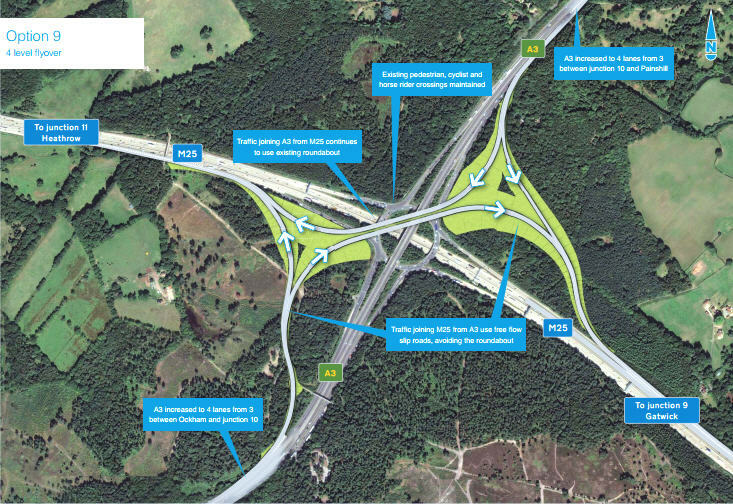 The Highways Agency has put forward two proposals for improving safety and traffic flow around the M25/A3 junction (known as the M25/A3 Wisley interchange) and are inviting views from the public. The two proposed alterations are known as Option 9 and Option 14. Information on the proposals and a link to giving electronic feedback can be found here. If you prefer to respond in writing, you can pick up a hard copy of the questionnaire from one of the two February scheme exhibition events and send it back to the Highways Agency via Freepost. There are two opportunities, on Friday, 3rd and Saturday, 4th February, for local people to see the proposals at a public exhibition at the Cobham Hilton (KT11 1EW), hosted by the Highways Agency. The exhibition gives local residents an opportunity to get more information about the schemes and to ask questions about the proposals. What a shame then, that the proposals do not take any account of the highly likely knock-on effect of the improvements – such as the bottlenecks that will be increased at the Seven Hills Road / A245 junction, which local workers and residents who travel in rush hour already know only too well. 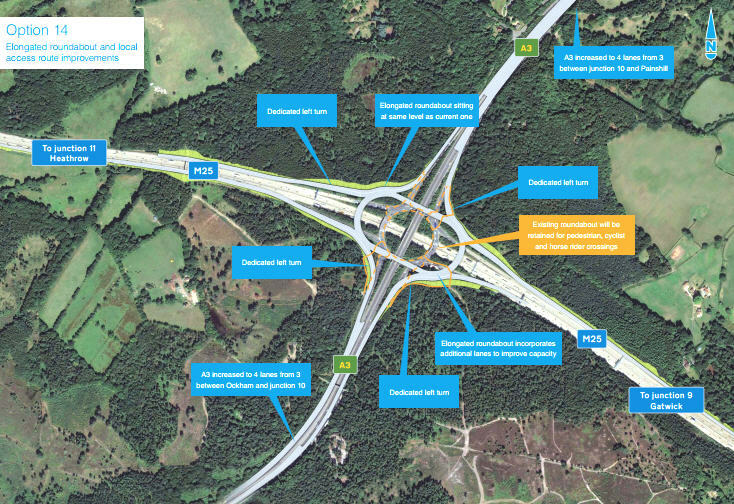 As part of this scheme, the Highways Agency are also looking at the A3 between Ockham and Painshill. 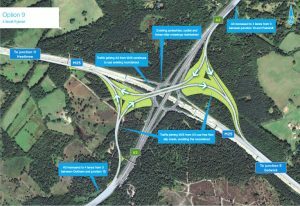 Improvements could include widening parts of the A3 to four lanes, creating an extra lane for vehicles turning left onto the A245 at the Painshill roundabout, and changing local accesses to make these safer and cause fewer delays on the A3. This entry was posted in Environment, Transport and tagged Environment, Green Belt, Transport by Vicki Macleod. Bookmark the permalink.